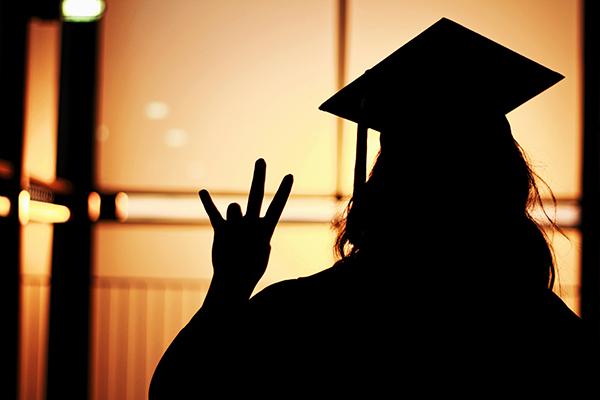 Arizona State University’s education and public affairs graduate programs broke into the top 15 and joined the university’s law school and fine arts program in jumping to higher spots in the latest rankings by U.S. News & World Report, which were released today. All four of those graduate schools ranked within the top 25 in the nation. ASU’s Mary Lou Fulton Teacher’s College marked a non-stop rise in the rankings, from 35th to 14th, over the past six years, underscoring the variety of ways in which ASU is strengthening education in Arizona and the nation. The graduate programs within the School of Public Affairs, at the College of Public Service and Community Solutions, also elbowed into the top 15, rising three places to 13th in the nation. Even better? Its city management programs are ranked fourth. The Sandra Day O’Connor College of Law is now a top-25 law school, moving up a notch from 26 last year, especially noteworthy given the emphasis that the legal community places on rankings. The ASU School of Art, in the Herberger Institute for Design and the Arts, rose into the top 20, up two spots from last year’s No. 22, and its printmaking programs rank fifth in the country. The U.S. News rankings showed that ASU remains the best for business in the state, with the full-time MBA at the W. P. Carey School of business ranking 35th in the nation, with highly ranked specialty programs. Students looking for international business find a No. 3 program with the Thunderbird School of Global Management. The Supply Chain and Logistics program is heralded as fourth in the country. The School of Nursing within the College of Nursing and Health Innovation remains in the top 30 in the country. Individual programs within the College of Health Solutions are ranked as top-notch, each rising in the rankings: ASU is ninth for its doctorate in audiology, up from 17th, and 17th for its master’s in speech-language pathology, up from 21st.